What will life be like after Google? Will blockchain kill Big Data? Will upstart companies untangle the internet from our Silicon Valley overlords? Will the future web center on security and privacy or free and surveilled? Will Google soon stop “assisting” us? 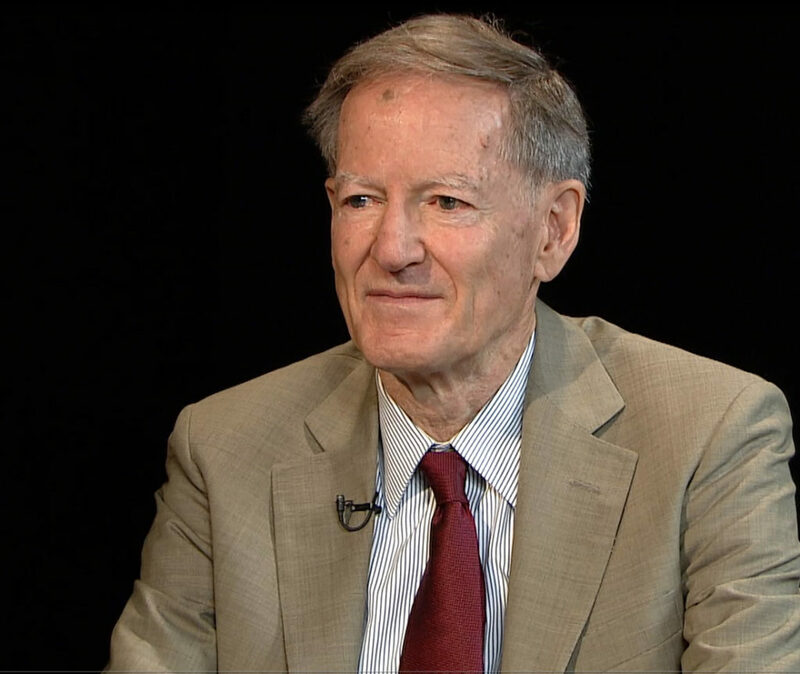 Author George Gilder tackles these questions in Life After Google. He believes a new cyber world is almost upon us. In it, tech giants don’t record and sell our every public thought. This world surpasses the determinism of ‘do no evil’ and unleashes the creativity and surprise of the induvial mind. While Gilder doesn’t present a unified theory for this coming paradigm shift on a practical level, he does offer compelling theoretical prognostications as to why Google’s model will stop working. Gilder’s future is individualistic and empowering. Whether that world is really upon us is debatable. Gilder traces Google’s story back to an obscure 1930 German academic conference where the finest minds gathered to present a theory of the universe. Is the world finite? Can it be explained with mathematical precision? Most said yes, but one young upstart proved them wrong. Kurt Godel showed “Every logical system necessarily depends on propositions that cannot be proved within the system.” We are not reducible to calculable things, uncertainty always exists. This theory and attending debate goes through Isaac Newton and Alan Turing and lands at Stanford University’s computer labs where Sergey Brin and Larry Page created a company that would dominate the web like no other. Google became a juggernaut counterintuitively—reducing consumer costs to zero. In return we give Google something more valuable than money: our time and attention, where we are, what we do, who we communicate with, how we spend our time. Google captures this and peddles it to companies that sell us things algorithms say we want. Cleaving all information is the great divide between creativity and determinism, between information entropy of surprise and thermodynamic entropy of predictable decline, between stories that capture a particular truth and statistics that reveal a sterile generality, between cryptographic hashes that preserve information and mathematical blends that dissolve it, between the butterfly effect and the laws of averages, between genetics and the law of large numbers, between singularities and big data—in a word, the impassible gulf between consciousness and machines. Gilder sees the coming change through the limitations of physical laws like the speed of light and the laws of computer science that limit how much data can be captured and used given the now-known conduits and substrates. But there is another reason Google’s dominance may soon end and that is the revolutionary technology of blockchain. Blockchains are distributed ledgers that record transactions using some unit like Bitcoin that cannot be censored or duplicated. The power of blockchain, at least in theory, is that it distributes control over network nodes instead trusted third parties like governments or Google. Google is hierarchal but life after Google will heterarchical. Google is top-down. Life after Google will be bottom-up. Google rules by the insecurity of all the lower layers in the stack. A porous stack enables the money and power to be sucked up to the top. In life after Google, a secure ground state in the individual human being, registered and timestamped in a digital ledger, will prevent this suction of hierarchal power. Gilder profiles companies and protocols using blockchain or other innovations like advances in virtual reality to dilute Google’s power and lead us into a decentralized world. These companies and established protocols include Bitcoin, Ethereum, Brave, Bitmain, Blockstack, NEO, Cardano, EOS, and IOTA. The competition between Bitcoin and Ethereum joined to lesser degree by XRP, EOS, Zcash and Monero will someday facilitate global transactions where individuals and security triumph over Big Data. While Gilder describes some promising companies as hopeful counterweights to the Googleplex, he fails to present a practical unified theory as to how all this will work. The book leaves open to his mandate for uncertainty and surprise how we will get there for those of us two degrees removed from the cypherpunk and tech geek scene. On an everyday level, what will the new the new web look like? How will we control our data and distribute it on our terms and not Google’s? Gilder only gives hints, promoting for instance Brendan Eich’s new browser Brave, but fails provide a path as to how it will overtake Chrome, Firefox, and Edge. Dapps the supposed tools of the decentralized future aren’t mentioned at all. What assurance do we have that the companies Gilder profiles won’t also capture and monetize our public thoughts? Some companies Gilder mentions are offering free services. What is government’s role in our decentralized future? These questions go mostly unanswered. Yet we can help shape the future Gilder predicts and many want. Google’s power and Facebook’s scandals have seeped into public consciousness. Starting to resonate is just how much we are giving away for what we get “free.” If Gilder’s vision ensues it will take more than laws of physics, it will require citizens demanding or at least supporting those determined to create our decentralized future. Finally, it is refreshing to see someone thinking about these issues on the economic right. Gilder is thankfully acquainted with the Austrian School of Economics. The individualism of Gilder’s predicted future will be distorted by present economic paradigms that range from socialism to crony capitalism. Another example is Gilder’s decrees about the academy. Gilder rightly sees through the credentialism that not only defines the Googleplex but stifles innovation. He champions (perhaps too much) incubators for entrepreneurs like those seeded by Peter Theil that promote young college-eschewing visionaries. Gilder sees this emphasis on paper credentials and its dogmatic approach to social issues as debilitating and even anachronistic. Credentials are the way the old academic order perpetuates itself and its hierarchies. At vast expense, the universities channel students into echoing corridors or an increasingly reactionary educational establishment that imagines that socialist nostrums, identity politics, chemophobia, sterile hedonism, druidical sun-henges, totemic windmills, and great walls of batteries are progressive. Ivy institutions are pursuing the fancies of a declining intellectual and business elite, full of chemophobic nags and luddite lame-ducks quacking away on their miasmatic pools of old money as the world whirls past them. Overall this book is well worth reading if one can get past the ‘insiderism’ of Silicon Valley speak and the emphasis on theory beyond practical use and the promotion of particular companies some of which, odds are, will falter or turn “evil” themselves. Nevertheless, Gilder presents a hopeful and compelling vision without Big Data and with a realistic view of how we pay for what we get “free.” It may take more effort from the masses than he realizes but his future is (hopefully) attainable.